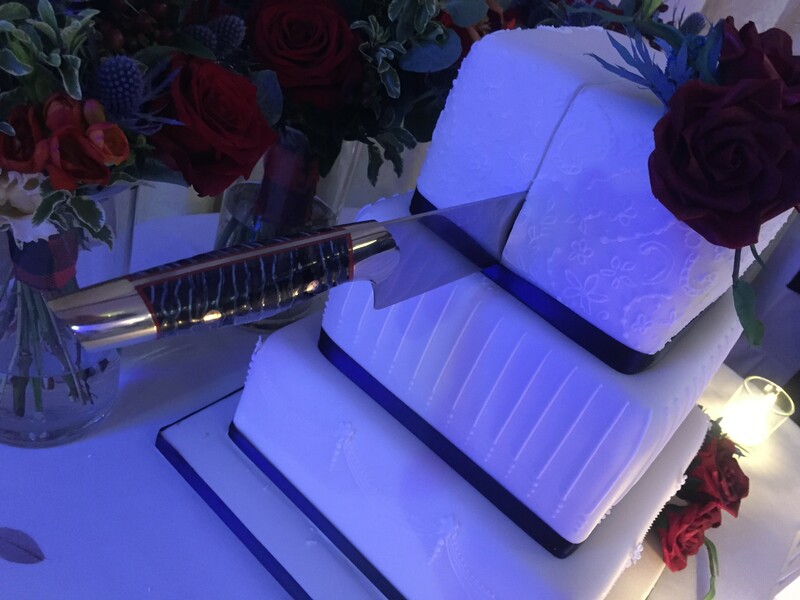 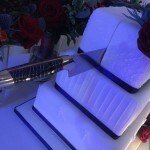 Made for the cutting of a wedding cake and to be used in the kitchen of the newly weds thereafter. 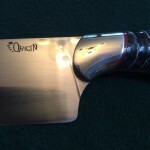 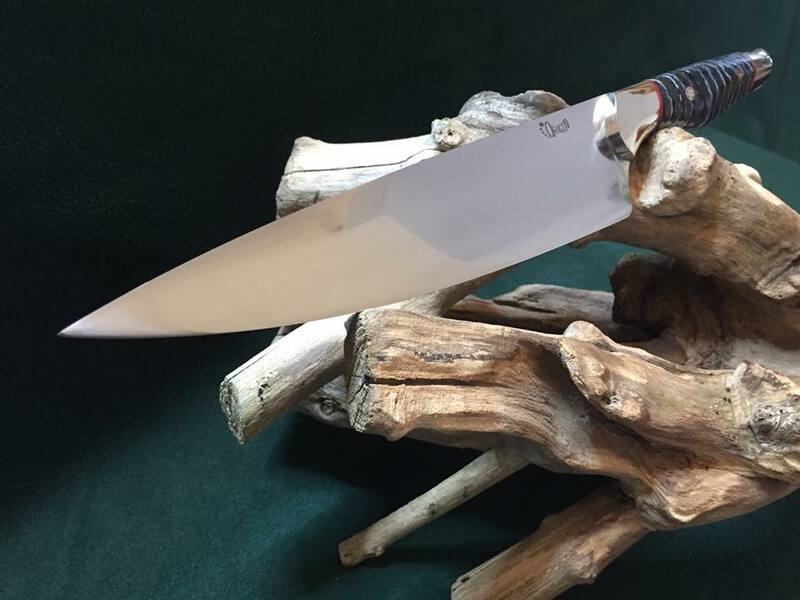 This knife was made to a very high specification. 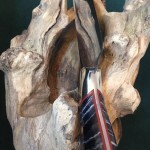 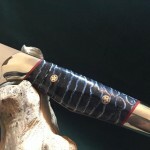 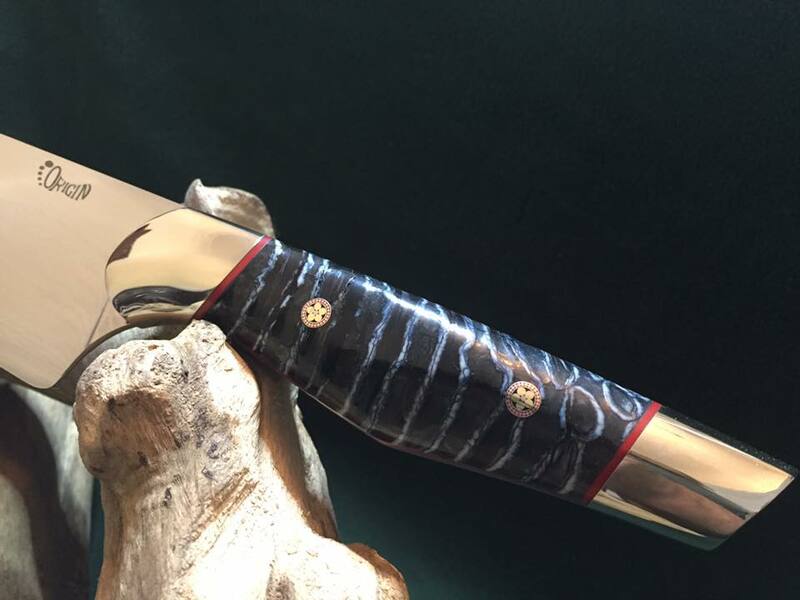 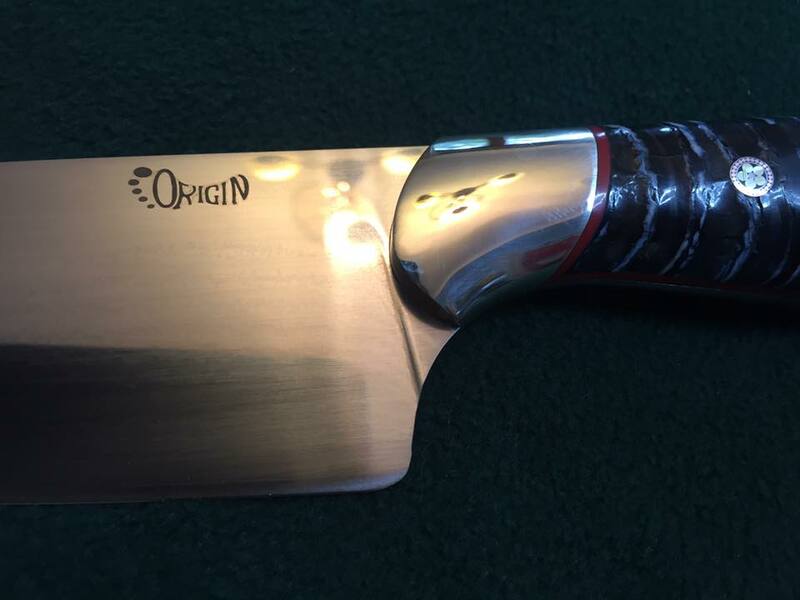 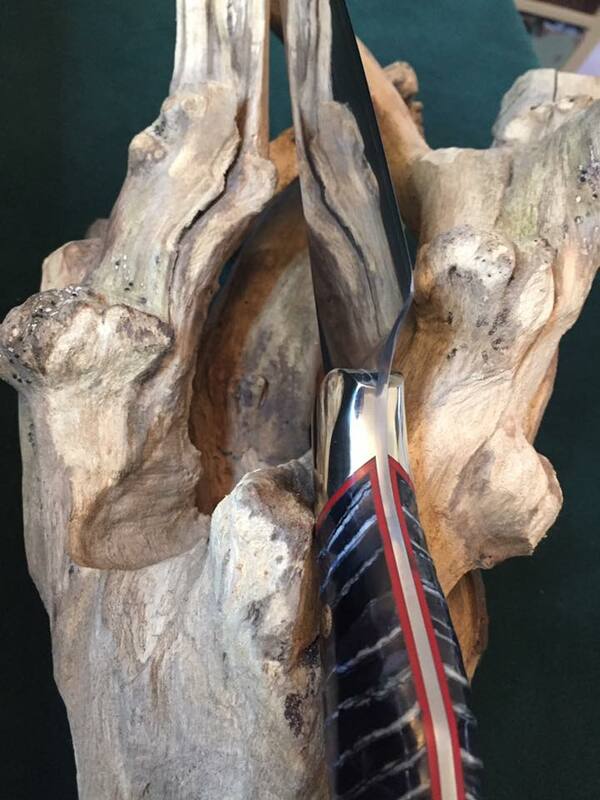 The blade is 225mm of Japanese laminated steel with a VG10 core which is visually striking in itself, it is complimented in this case with stabilized Mammoth Molar scales on red liners and finished with polished Nickel Silver bolsters and pommel.